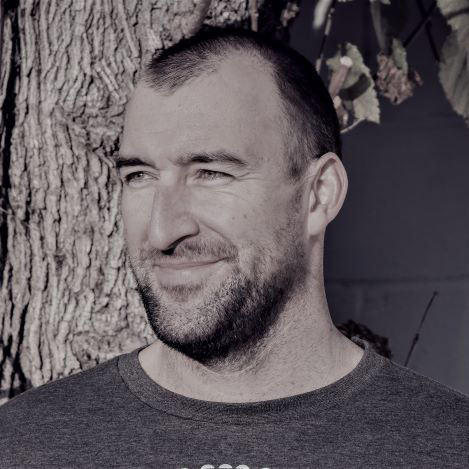 Customer Service Manager Mark developed a passion for foundation repair in his formative years. Growing up in the family business has shaped the way he looks at homes and his ability to solve problems - from the ground up! He loves to read and keep up with the new technology that is constantly developing in the foundation repair industry. Outside of work, he loves adventuring with his family, spending time by the water, and has a passion for cooking. The health of your home's foundation is of the utmost importance to the integrity and safety of your home. Fortunately, most foundation damage happens slowly, over many years, and can be corrected before any serious failures happen. As a homeowner, you should be prepared to make repairs at the first sign that your foundation has cracked or begun sinking, because the longer you wait, the harder it will be to correct the problem. 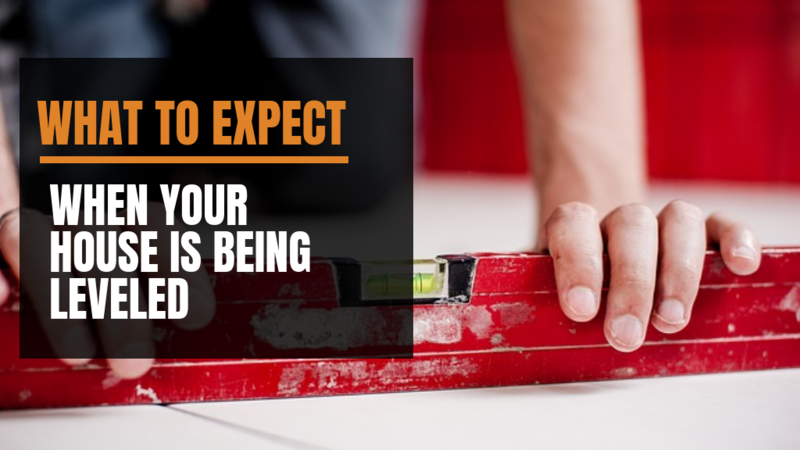 When it's time to make repairs, you may be thinking that your homeowner's insurance will kick in to save the day, but there are some important caveats to your coverage that you need to know about before you schedule your repair. 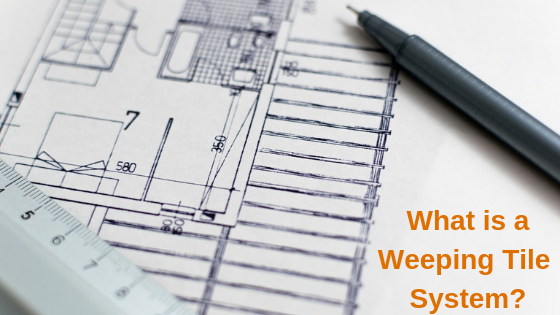 What is a Weeping Tile System? There are many things that can contribute to a failing foundation. Having water settle near or underneath your home is one of those things. Unfortunately, It can be difficult to locate a leak in your plumbing system underneath your house. The good news is that there are ways to prevent this. 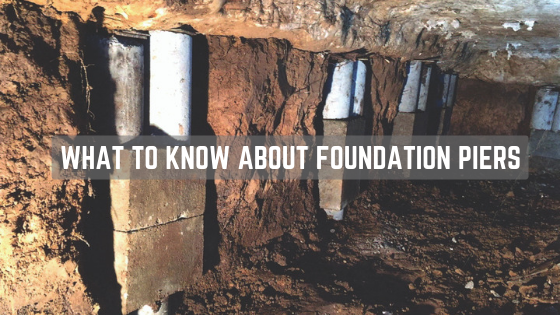 If you have found out that you have foundation problems, you're probably digging into some research to find the perfect company to do the repairs. After you have spoken with your contractor, you learn that placing piers underneath your foundation will be the best fix. From what you were told, this should permanently fix your issue. But there's more to know. There is nothing as nice as coming home from work on a really hot day and jumping into your pool. Maybe you do not have a pool, but you have considered building one for the family. During your research, you've maybe come across a horror story or two. If it made you pause, you're not alone. 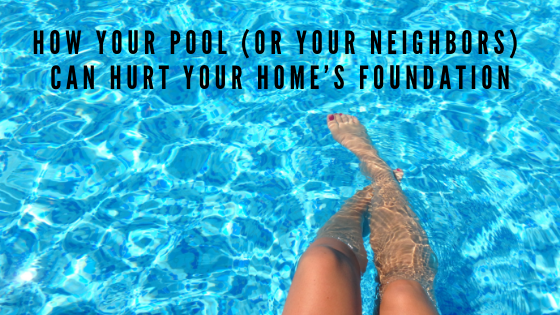 It is true that pools can have an effect on your home’s foundation. The construction crew has just shown up to the building site. You are very excited because the foundation of your new home will be put in today. You have spent the last year working on the perfect location and plans for the home of your dreams. You start to get a nervous feeling in the pit of your stomach. Did you choose the right construction company for this project? Should you have paid a little more money to ensure a better quality home? 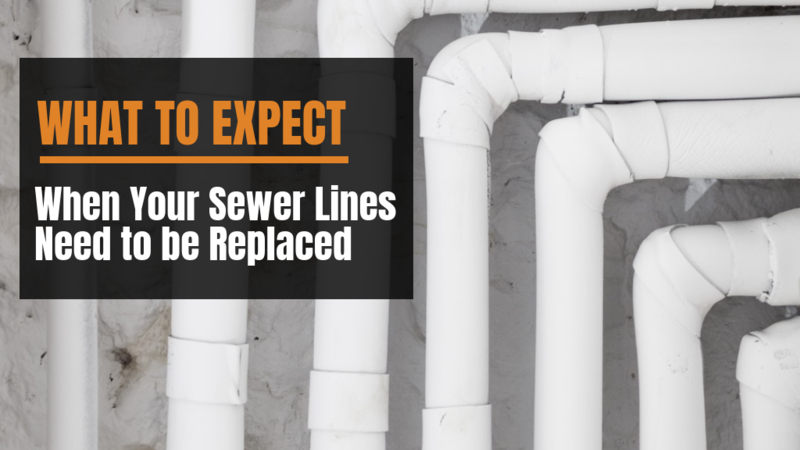 Sewer lines are pipes that run from your house, to the city sewer, or to your septic tank. You may never have to think about these pipes as long as they are working properly. However, when these pipes have clogs and your waste water is backing up into your home, this will be all you can think about! These lines need attention periodically to keep them in good working order. Clogs in sewer lines may happen quite naturally. How then do you know whether the main sewer line needs to be unclogged by a professional? 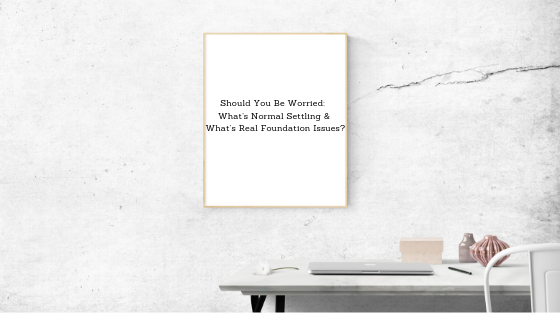 Foundation issues may seem overwhelming. There's no doubt that it's a big job - it's not something a single handyman can take care of. But there is no reason to stress too much. There are ways to fix even the worst foundation issues, and many companies are open to financing or payment plans. So you may have noticed some wet areas in your flooring. What does this mean and how much will it cost to repair? This is a common sign that you have a plumbing leak under the foundation of your home. However, this is not the only sign that you may have a problem. 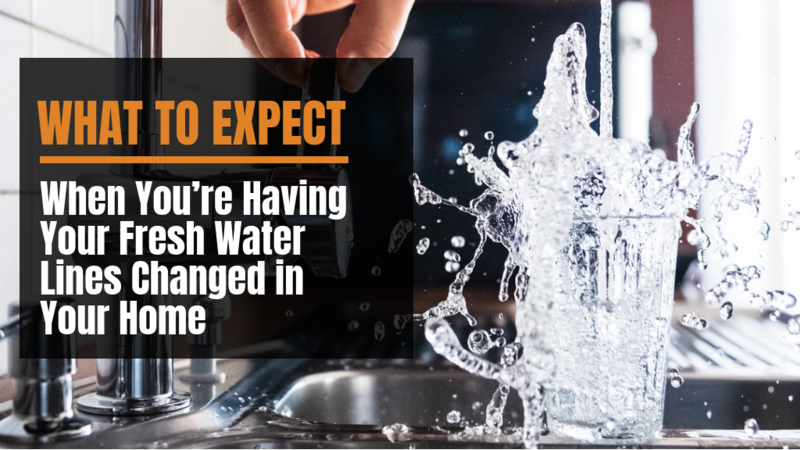 You may have noticed an increase in your water bill. 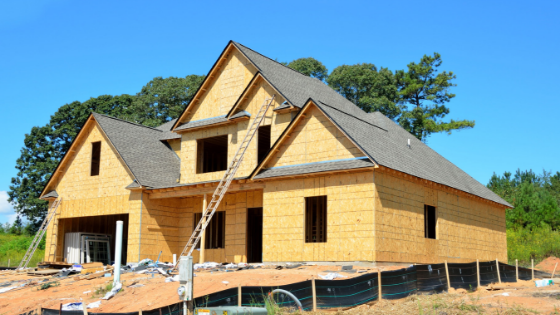 The thought of having the foundation of your Houston home repaired can make the strongest of persons feel overwhelmed. This is why many people will tend to ignore the signs of a failing foundation until it becomes necessary to level the house. Leveling a house can be intimidating and somewhat expensive. The process can be made much easier with a little education on what to expect when your house is being leveled. Should You Be Worried: What’s Normal Settling & What’s Real Foundation Issues? Normal settling or foundation issues? You have probably heard at least one of your friends or family talk of needing a foundation repair on their home. It is perfectly normal to start worrying about your own home after hearing of others having issues. 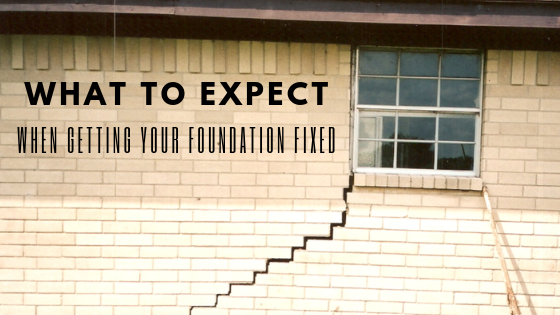 Is there a foundation repair in your future or is your home just having the normal settling issues? Alvin, Angleton, Baytown, Clear Lake, Conroe, Crosby, Dayton, Deer Park, Friendswood, Galveston, Houston, Humble, Katy, Kingwood, La Porte, Lake Jackson, League City, Liberty, Magnolia, Missouri, Pasadena, Pearland, Richmond, Spring, Stafford, Sugar Land, Texas City, Tomball, Woodlands, and all other surrounding areas. Copyright 2019 Allied Foundation Repair. All rights reserved.